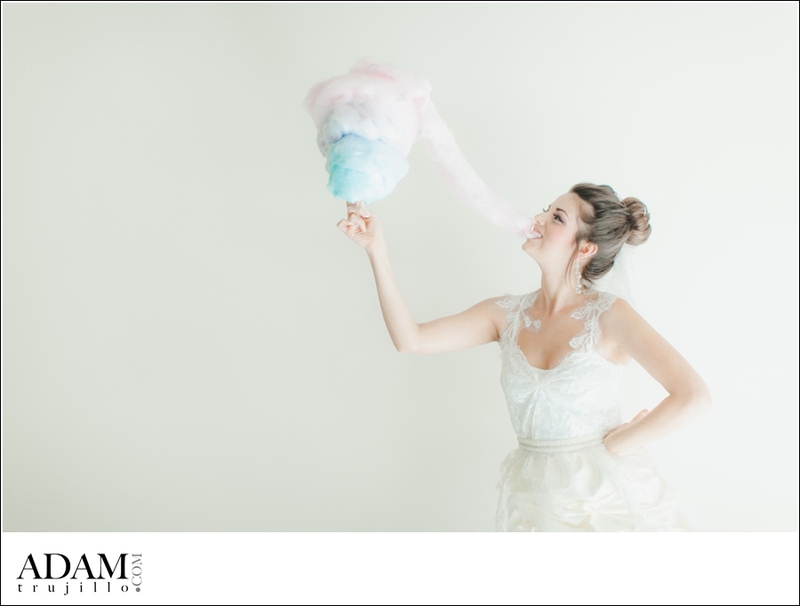 Styled photography shoots can be very fun, especially when working with great wedding professionals. 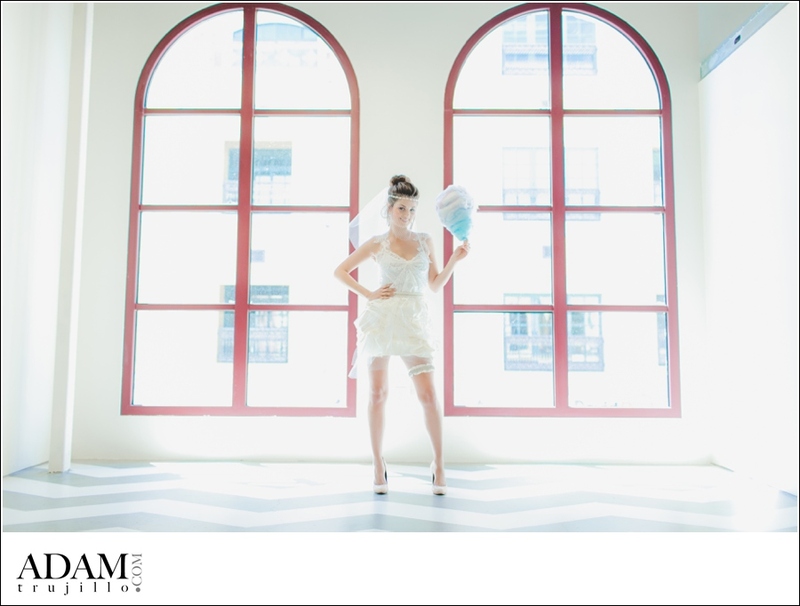 Megan of Mina Olive and Arlene with B Sweet Candy Boutique and I put together a fun shoot with a mixed up and funky styled wedding gown. 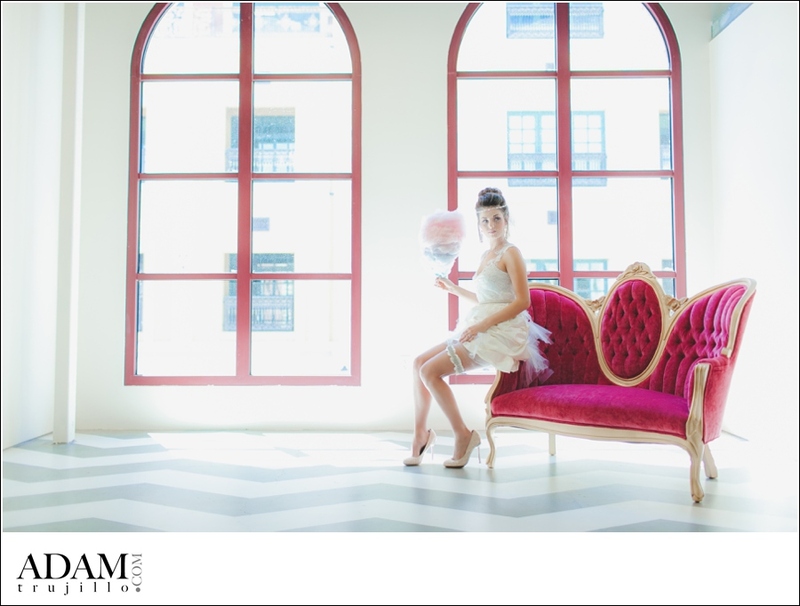 We are introducing her as our “Candy Bride”. Our goal is to raise attention during social events about our businesses and gain attention on the streets. I am such a lover of natural light and loft style locations that have beautiful white tones, in which the photographs turn out soft and beautiful. 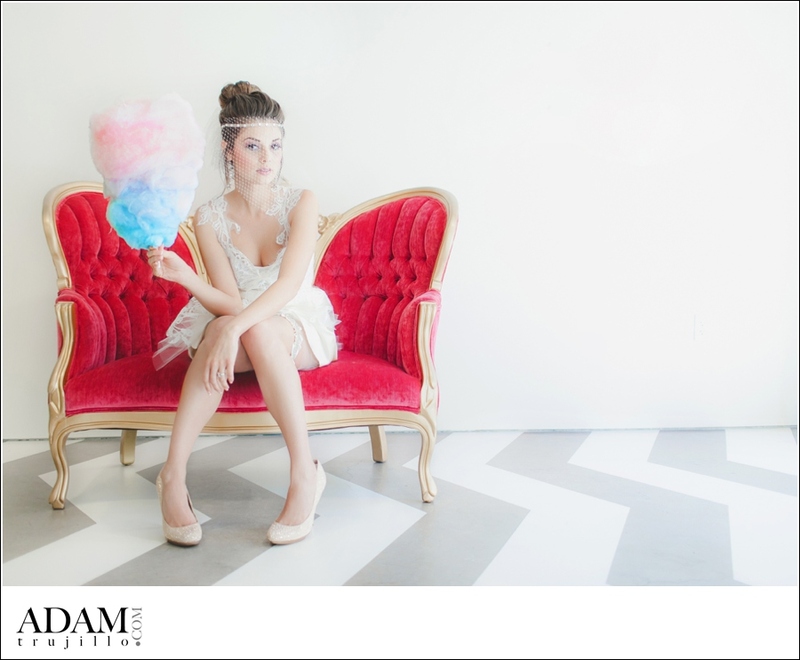 Lauren was our beautiful model for the shoot and I must say I had such an amazing time working with her. 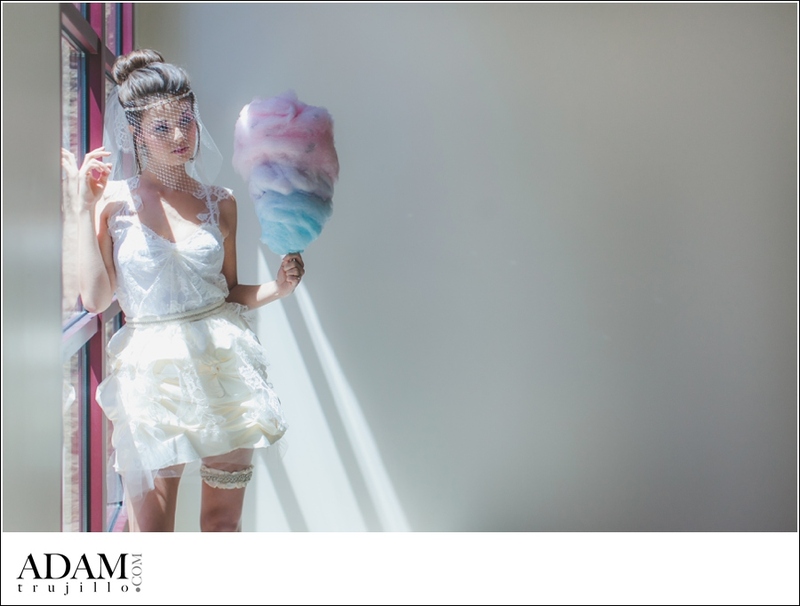 So stay tuned and watch for our Candy Bride who may pop up from time to time. If you are looking for a Wedding Dress and are not sure what style or look you think you may like, I suggest setting up an appointment with Megan at Mina Olive, as her work as a custom wedding gown designer is amazing and one of a kind. 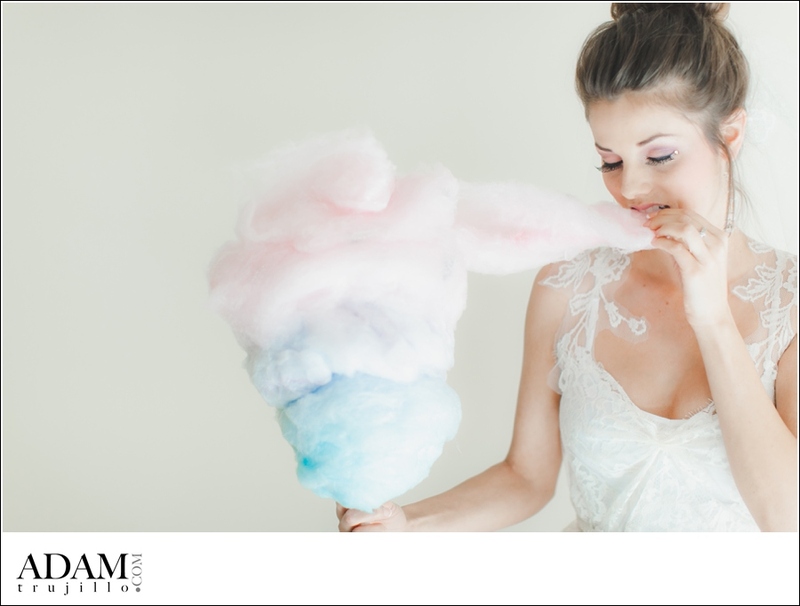 You are sure to have the dress of your dreams created with personalized style and elegance. These tones and softness just make me happy as can be as a photographer. As a wedding photographer it is rare to always have near perfect lighting except for that great “golden hour” before sunset. A nice loft with beautiful windows allows the right light to come through and produce a diffused light that just is amazing. So flattering on skin and the final photo is just beautiful. I love the lashes with subtle crystals at the end for some dramatic looks and adding a little jewel on the edge of the eye pulled the look together nicely. With tasteful use of pulling off the popular sock bun that girls today are growing more fond of. But seriously how can you beat this lighting lol! 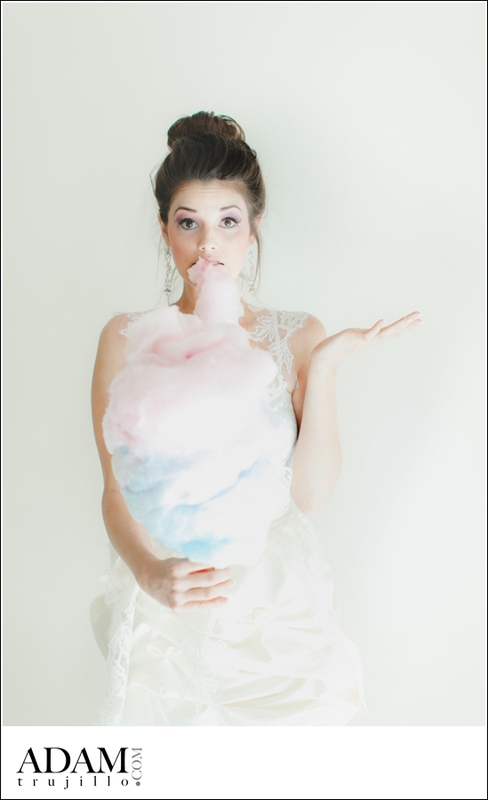 Now its time to get down on some cotton candy! Nom nom nom! The sweet smell of this delicious and sinful treat had been in the air and it was only inevitable that Lauren and the girls on set would tear this up. Not to mention its flavored and yummy. Who me?